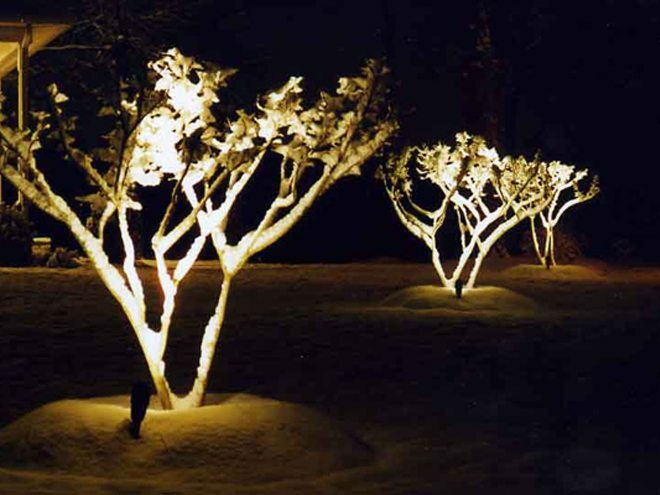 Outdoor lighting is the answer. 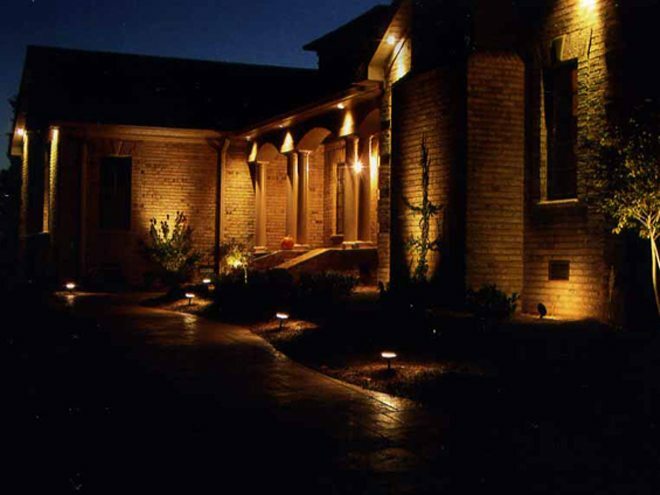 Using a variety of lighting fixtures, Scenic View Landscapes can uplight plants in bed areas, spotlight front doors and architectural features, create lighted pathways to lake docks, front and back walks, pool areas, and more. 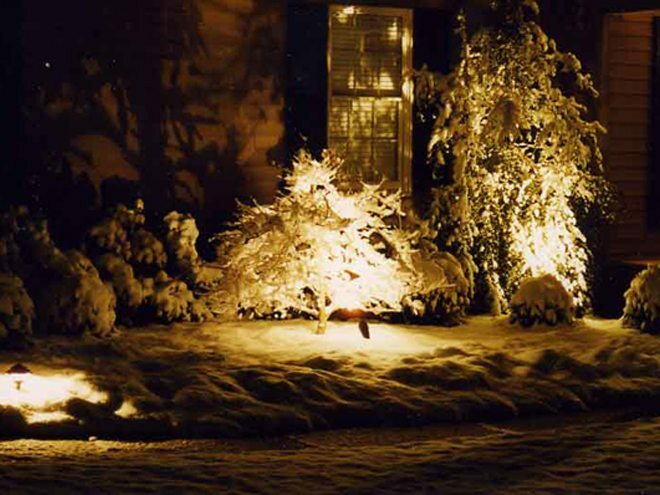 Your outdoor lighting investments will ensure an improvement in the aesthetics of your property. It will also give you an added element of security as most systems run on timers set for each season. The ease of maintenance will allow you to enjoy more of your time at home as well.